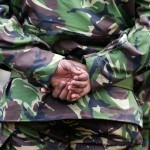 It is estimated that each year, approximately 22,000 personnel leave the UK armed forces. Thankfully the majority of these remain physically and mentally well and reintegrate successfully into civilian life. Those who struggle with health and integration issues tend to be those who have seen (recent) active service in war zones. Mental health issues might result from, or be exacerbated by, such trauma(s). A recent study by UK academics looks at the demographic and clinical characteristics of UK military veterans attending an IAPT (Improved Access to Psychological Therapies) service (Giebel et al, 2014). They reasoned that by investigating the type of veteran accessing psychological help it might be possible to identify those at greatest risk following their discharge. The UK’s IAPT programme was rolled out nationally in 2007. It was originally specific to the improvement of access of psychological therapies for adults suffering with depression and anxiety. Its inception was based on economic (getting people back to work and increasing productivity) and clinical (implementing the National Institute for Health and Clinical Excellence’s guidelines). The IAPT model has now been expanded to cover other common mental health conditions and adapted and applied to specific subsections of the population (e.g. ex-military). PTSD, mixed anxiety & depression, and depression were the top three mental health conditions diagnosed in veterans in this study. The authors collected data during September 2011 and April 2013 from an IAPT service which was set up to support veterans in the North West of England who were experiencing clinical and social problems. The data that they collected included both demographic and clinical findings. The latter focused on depression (as determined by the Public Health Questionnaire – PHQ-9), anxiety (as determined by the Generalised Anxiety Disorder scale – GAD-7) and level of impaired functioning (as determined by the Work and Social Adjustment Scale – WSAS). The data was statistically analysed using SPSS version 20. Demographic characteristics and clinical changes were assessed using frequency distributions. Independent t-tests were employed to assess the means of clinical data and chi tests used to examine the demographic characteristics between subgroups. Changes in outcome scores were reported for all patients who experienced 2 or more sessions and were assessed using effect sizes. IAPT services commonly report on a metric known as “caseness”. This establishes the percentage of patients whose outcome scores (PHQ-9 and GAD-7 only) are above clinically significant at the start of treatment (for PHQ-9 this is >9 and for GAD-7 this is >7) and below significance at the end of treatment (in this study after a minimum of 2 treatment sessions). In this way the authors’ hoped to establish remission rates. The figure below shows the breakdown of the patients referred, completing treatment, dropping out, etc and used in the study analysis. 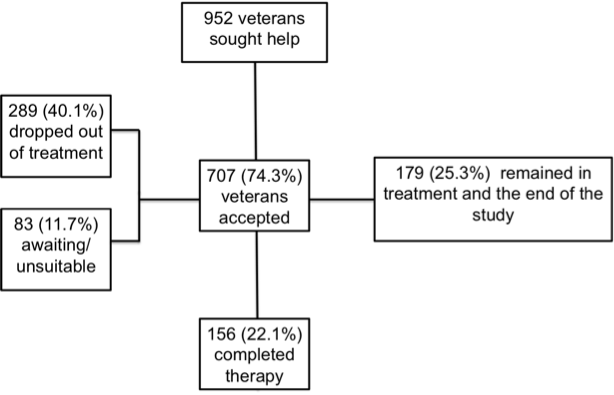 The number of participants who attended 2 or more therapy sessions (and hence were used in the clinical data comparisons) was 395 – hence these comparisons were performed not only on those veterans who had completed therapy. 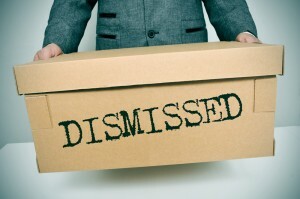 However, “only” forensic history significantly varied (c2 = 4.75, P<0.03) when comparing demographic and psychiatric data between those who completed treatment or those who hadn’t completed and those who failed to complete or dropped out. Each could be compared with each other and with the corresponding negative controls. In comparing ESL with N-ESL these tended to be younger (t[134.52]=3.522, P<0.01) and single (χ2 = 10.95, P<0.01), but showed no significant difference in terms of gender, ethnicity, armed forces branch, unemployment status or forensic history. Veterans referred with a physical disability tended to be older (t[137.45]=-5.438, P<0.01) and from different ethnic backgrounds (χ2 = 5.2, P<0.05). Those with a history of substance/alcohol misuse, tended to be younger (t[400.13]=3.768, P<0.01), male (χ2 = 8.87, P<0.05), single or divorced (χ2 = 31.87, P<0.01) and privates (χ2 = 21.64, P<0.05) with fewer years of service (t[403.61]=3.919, P<0.01) and greater levels of unemployment (χ2 = 8.13, P<0.05) and forensic history (χ2 = 46.02, P<0.01). The study found that early leavers were more likely to have mental health problems than non-early leavers. Mental health problem distributions were not statistically different between the ESL and the N-ESL groups. The distribution of mental health problems varied significantly between those with and without substance/alcohol misuse issues (χ2 = 246.241, P<0.01) and between those with and without physical disabilities (χ2 = 14.509, P<0.05); as the authors correctly point out “albeit with” limited data. The authors were also able to rank relative risk for each group. These data suggest that being physically disabled and or having a substance/alcohol misuse issue puts the service veterans at greatest risk of suffering from anxiety and depression. The study found that early leavers were more responsive to therapy in IAPT services, and after therapy the early leavers experienced a more marked decline in anxiety and depression symptoms than non-early leavers. Veterans vary in their demographic and clinical characteristics as well as in treatment efficacy, as measured by the post-treatment scores on probable depression and anxiety. Therapy appears to be most effective in early service leavers, whereas veterans with a physical disability or a substance or alcohol misuse problem tend not to do as well in terms of symptoms of depression or anxiety. This study highlights the importance of targeting different veteran subgroups for dedicated psychological therapy. This study highlights the demographic- and the clinical-characteristics of UK military veterans attending a specialised psychological therapies service. The authors’ have successfully gathered the majority of demographic data available and this has enabled them to look in more depth than previous studies into the most psychosocially vulnerable sub-groups (physically disabled and/or those with substance/alcohol misuse problems). Notwithstanding that the groups were not mutually exclusive. Reading the paper, I mused on the lack of information on service users (recent) active service experiences as the authors cited this as a mediator of mental health disorders. However, the study also attempts to look at treatment effects and it is here I have a number of concerns. Assessments: I would have liked to know more about the assessment protocols used in this study and how these were used to diagnose and recommend treatment type. 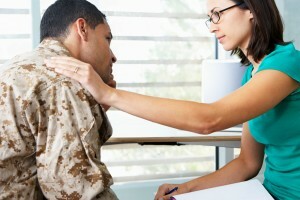 Diagnoses: The authors included some data that suggests that the veterans were diagnosed with “psychiatric disorder(s)”. Within IAPT such diagnoses are based on initial brief assessments; I have concerns about how these diagnoses are made and prefer to see them as broad classifications for guidance rather than full blown psychiatric diagnoses. Outcome scores: I am sceptical about the use of GAD-7 as a tool to assess other anxiety disorders; IAPT services are encouraged to use the Impact of Events Scale (IES-R) to diagnose and monitor PTSD. Appropriate treatment: It seems a real weakness of this study that the authors’ did not include a breakdown of the step at which patients were treated (normally step 2 or 3). Nor did they report on the type of therapy provided. This might have been an opportunity to compare (for example) CBT with EMDR for PTSD. Treatment length: NICE guidelines are based on clinically proven, evidence based findings. One can expect that these treatments work when the manual is followed and when the duration of the therapy is sufficient for the effect (improvement) to be attributable to the treatment offered. Sadly the authors used a fairly typical (if flawed) “two treatments” as an inclusion criterion for data analysis; surely this is of little scientific value when investigating treatment effects? 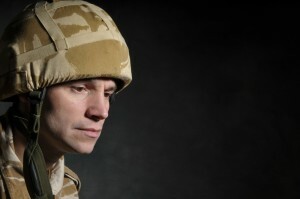 This current study highlights the importance of continuing to support UK military veterans and suggests some antecedents to mental health problems in this population. It also emphasises the need for some members of this population to be offered continued support when they leave military service and return to “civvy street”. This study supports targeted therapy for military veterans with mental health problems who are struggling to settle back into civilian life. Giebel CM, Clarkson P, Challis D. Demographic and clinical characteristics of UK military veterans attending a psychological therapies service. Psychiatric Bulletin (2014), 38, 270-275. December 2014. Emma Power liked this on Facebook. 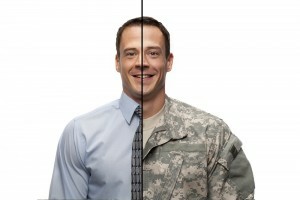 Excellent piece on study of mental health of military veterans: http://t.co/BA2ZqjzBcS Interesting to see demographics. 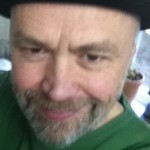 @Mental_Elf @BigWhiteWall_AF Thanks for the tips – this looks great!